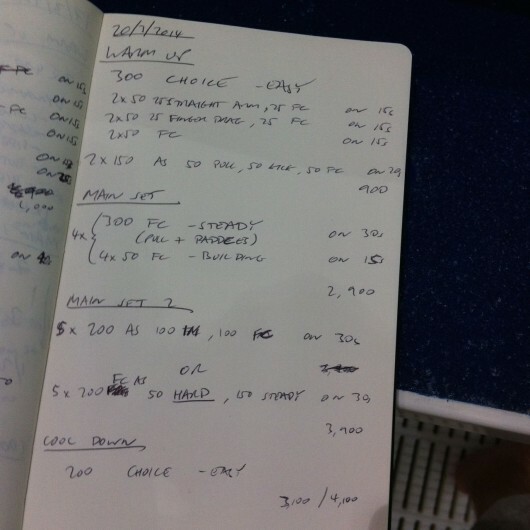 Races aren’t too far away so for this week’s triathlon swim sessions I decided it was time to start increasing the work load and putting a little more intensity into some of my sets. 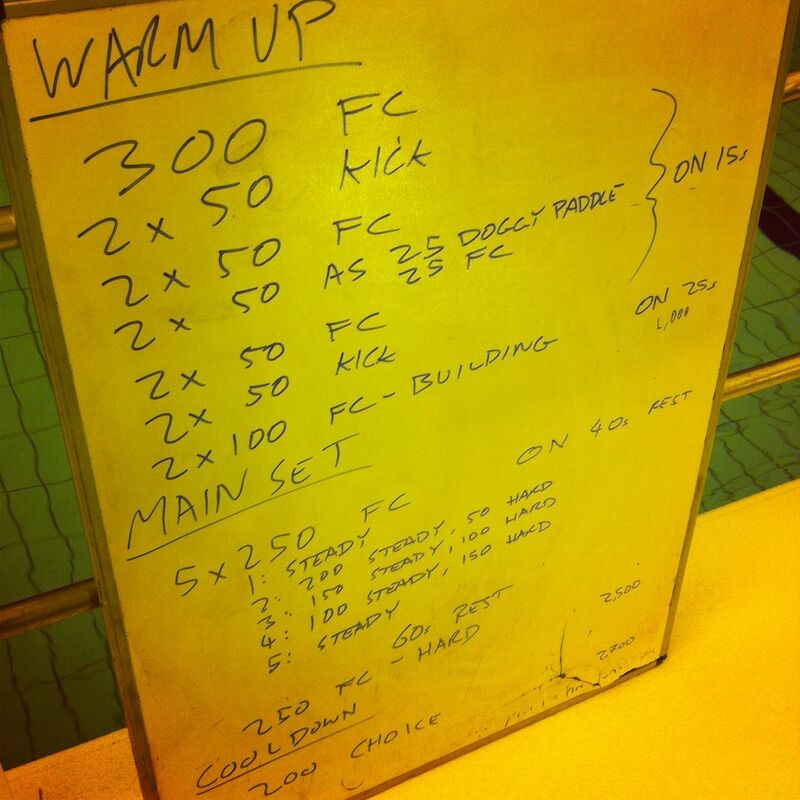 Tuesday’s swimmers in particular received the main brunt of that change. Here are his week’s pair of swim sets. 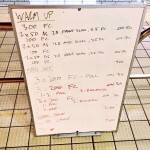 Variation in pacing is a regular theme on the Tuesday session, but this time I stepped it up with a fifth of the session being performed at a hard pace. 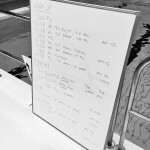 It is a jump on recent weeks and I won’t keep every week at this level right now, but I wanted to give a shock to the system and make sure my swimmers know it won’t be getting easier. 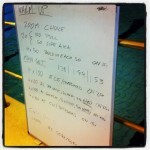 Not quite so much intensity on Thursday – I tend to use this smaller session to focus on swimmers’ techniques. 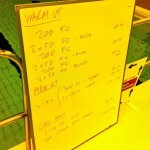 I usually include a mix of strokes towards the end for the stronger swimmers, but there’s interest in putting a little more work into technique outside of front crawl. They need it! Next week’s session will mix up the strokes throughout.